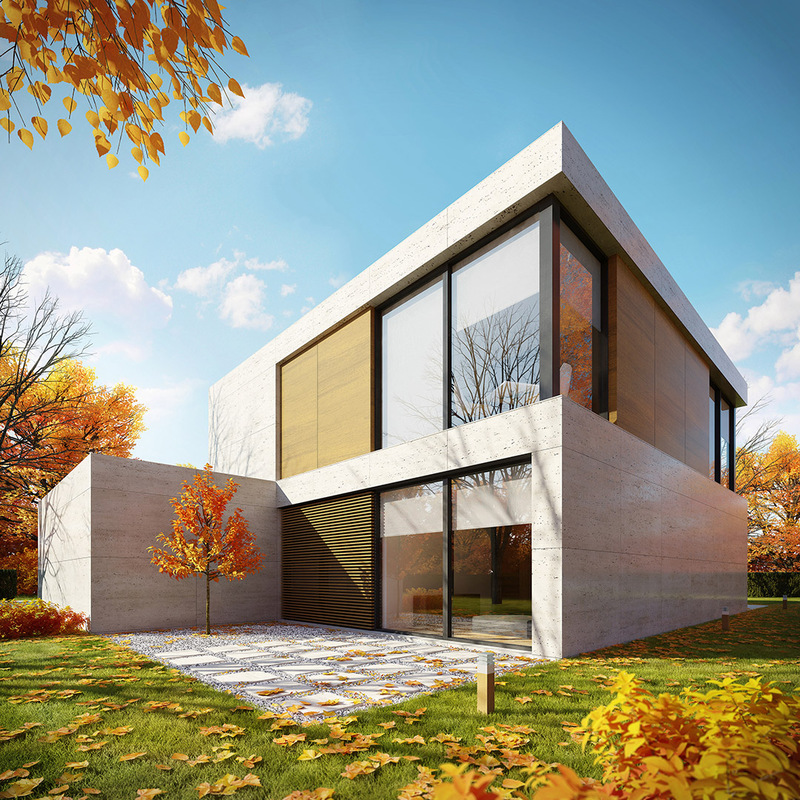 There are 5 different types of houses with distinctive geometric shape, designed in the series. 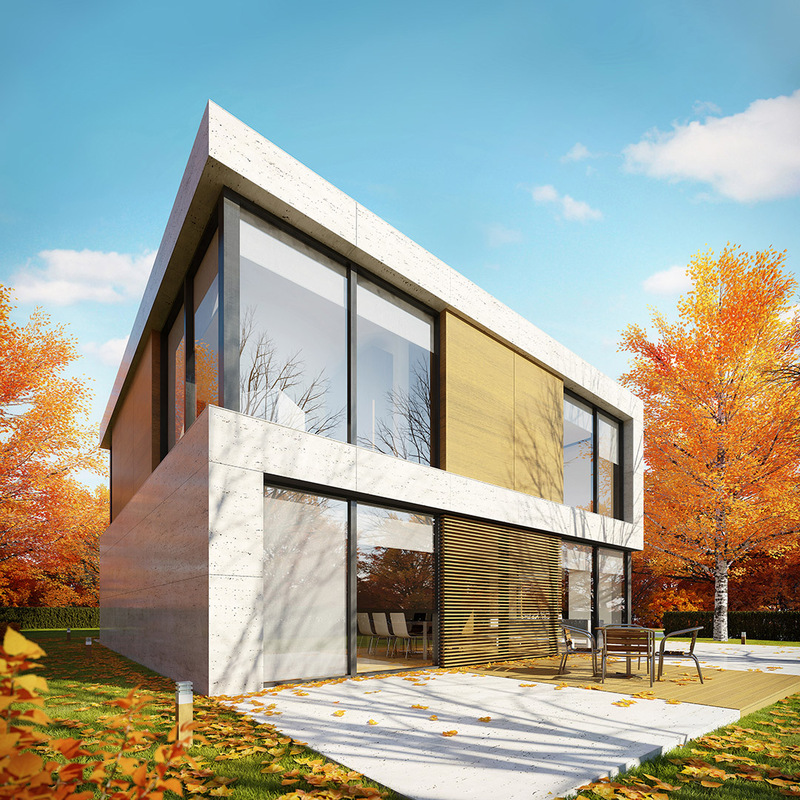 The houses are designed for construction in Belgium, France, Luxembourg and the Netherlands and meet all European standards of living. The Square house is planned to be a family house on two floors. On the ground floor is the living area with dining room and kitchen, study (home office), bedroom, bathroom, laundry room and a double garage. On the second floor there are three bedrooms with private bathrooms and closets. The materials intended for the façade- stone siding in travertine and thermowood , create a feeling of warm and comfortable environment. 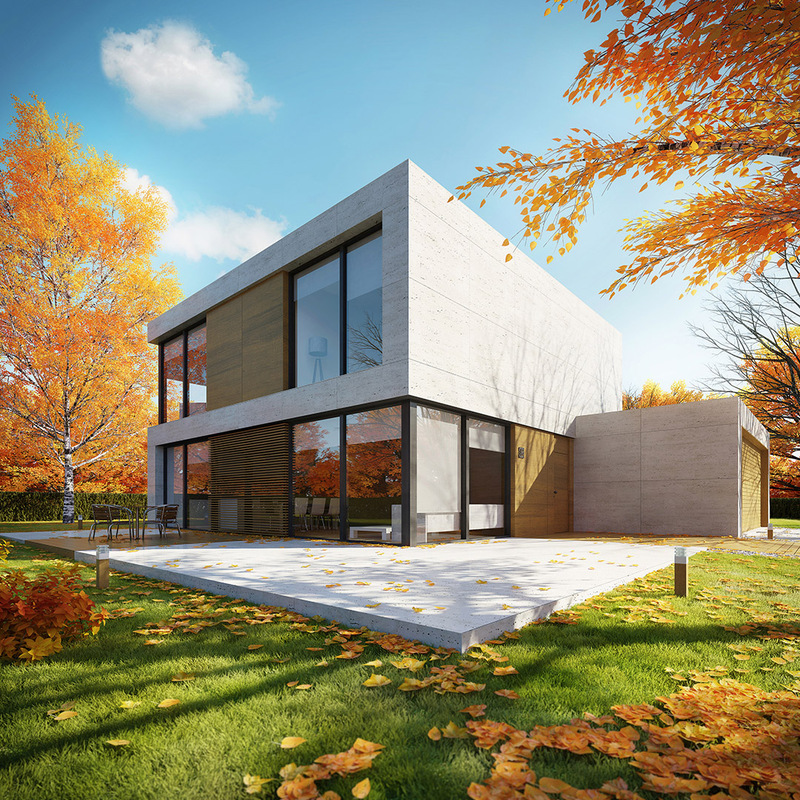 Architectural designing of single-family houses - a challenge for architectural studio STARH Stanislavov architects.